"My life is not easy", Farage said at the weekend, despite having an estimated net worth of over £2m. Nigel Farage pondered his life and career in an interview with the Daily Mail this weekend, complaining “I’m 53, separated and skint.” Chin up, Nigel — you’re richer than you think! Nigel has a history of lamenting how hard done by he is. “I don’t know anybody in politics as poor as we are,” he said in 2014 appearing on Channel 4’s Gogglebox. Poor Nigel! But is his life as tough as it sounds? Although Farage loves to put himself across as the underdog, the former City worker is by most estimates doing fine financially. As an MEP he has a salary of around £90k-a-year — this is without expenses — almost four times more than the average UK worker. He himself once claimed he earned £250k-a-year in salary and expenses from the job, meaning he may have earned up to £3.7m over the past 15 years in the role. 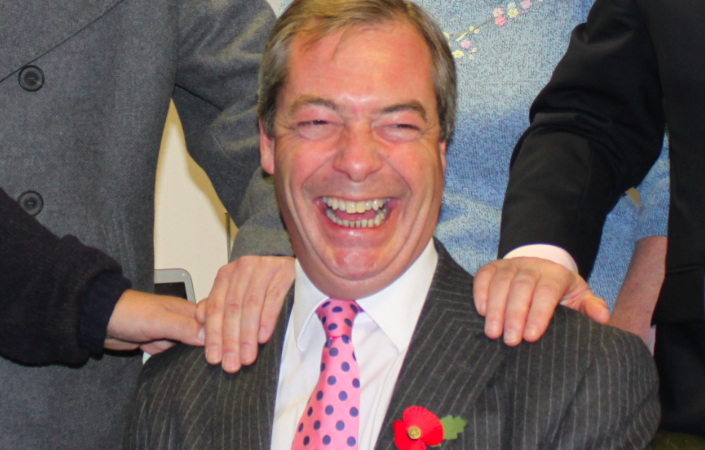 Farage’s prime-time show on LBC likely brings him a sizeable second income, although the figure is undisclosed. According to one estimate his net worth is something in the region of £2.5m. According to other sources, he owns a £4m Chelsea townhouse, which would put his net worth much higher. A fellow LBC host, Andrew Castle, was quick to respond to Farage’s plea for help, fashioning a makeshift begging bowl urging people to “give generously”. Despite all of the facts about his financial situation being out in the open, Farage seems intent on never giving up his ‘man of the people’ charade — it’s hilarious that he keeps it up. Whatever problems this odious and loathsome man has (if any), they will never compensate for the appalling bigotry, hatred and the damage he has caused to the whole nation.